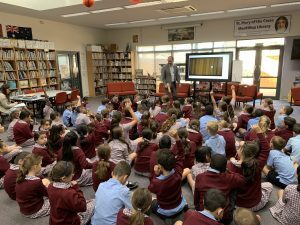 This week Cana welcomed ‘Brett Lee’ from Internet Safe Education to our school, to give our Grade 3-6 students a session on how to keep safe online. 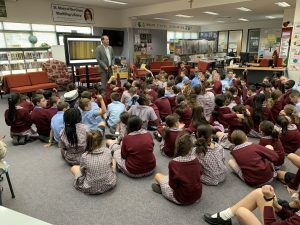 Brett has a wealth of knowledge and experience and was able to pass special messages for the students to utilise the internet in the best way possible. Brett also gave presentations to staff and parents within our parish. We encourage all parents to continue to enforce the cybersafety messages Brett had for us.